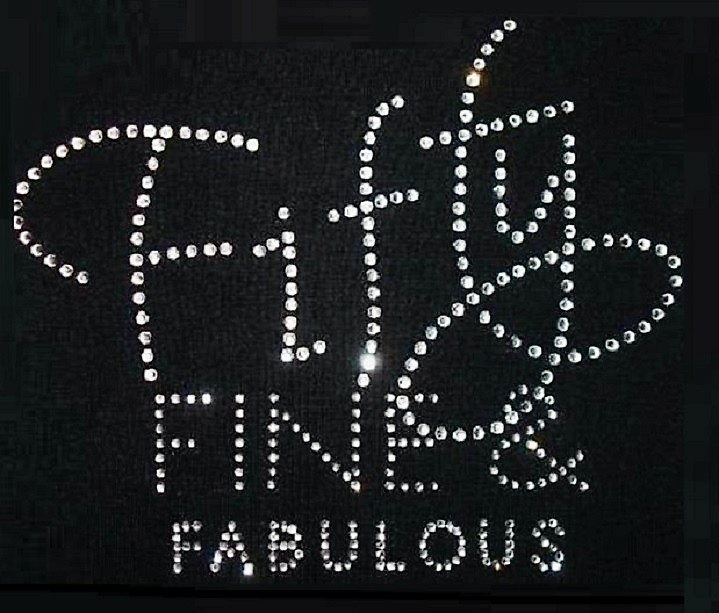 FIFTY FINE AND FABULOUS in Rhinestone Bling! 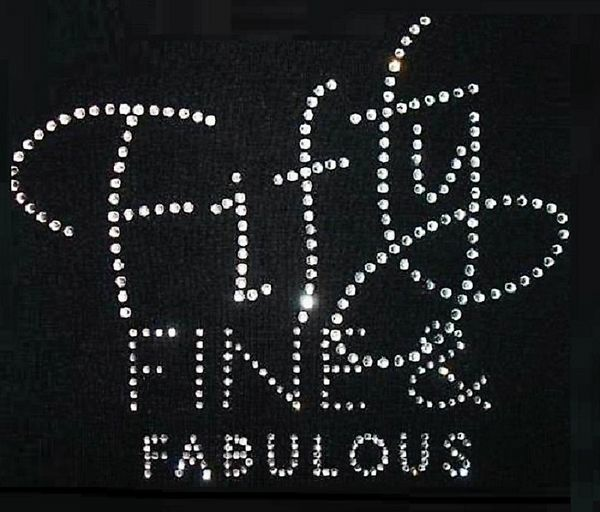 A fabulous rhinestone tee to strut YOUR STUFF! Hey, they say 50 is the new 30 after all! 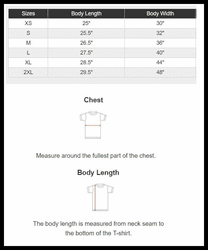 Great birthday gift idea, too!